The Amico outlet continues to provide worry free and dependable service. 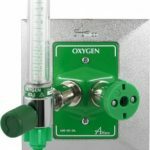 Aesthetically pleasing in any patient room, this Ohmeda connection Amico gas outlet provides a full color fascia for easy gas identification during those “critical” moments. 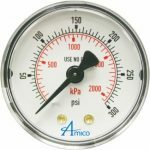 Amico’s outlets exceed flow rate requirements set by NFPA/CSA. All outlets are 100% cleaned and tested in order to ensure quality and are backed by our industry leading 5 year Warranty. We also have other configurations available to match your requirements.